For those of you that don’t know; John Carmack is my favourite game developer. I’ve always looked up to him and found him as a source of inspiration. I’ve listened to his talks countless times, and have been following his company, Id Software, for many years. From Commander Keen to Doom, I’ve always appreciated and enjoyed Id’s hard work. But now, it seems, that my worst fear has materialized, so terrible, I couldn’t have even imagined. Upon taking a quick gander at Kotaku before going to bed, I read the headline, “id Software Bought By Bethesda Parent Company, ZeniMax,” followed by, “id: Why We Sold To ZeniMax.” I sat there, stunned and refusing to believe my eyes. I took a moment so that the headlines would sink in, and then decided to read the further. Scurrying for any excuse I could find, I was hoping the headlines were some clever play with words. To my dismay, the headlines were dead on. Some of you might be wondering, why is this such a shock for me? Well, I’ve always admired Id Software’s self direction. Being an independent developer, they’ve never really needed to answer to anyone. I’ve always accredited this fact, as a strength to Id Software. Being a fan of the company, this was a point of pride for me. Id Software were around since the beginning of the golden era of game development. Let me clarify. I’m not suggesting they made the first video game, but they helped boost the entire video game industry as a medium. I loved the fact that they’ve run their own ship since the heydays, where so many other companies have been bought out, only to be the small print in some corporate take-over. Lets not forget, they created the first person shooter genre! This calamity is exacerbated by the fact that Id Software and Bethesda Softworks are poles apart. Chalk and cheese if you will. John Carmack and his team create polished products, which may not necessarily be incredibly original, but the experience is always sublime. Bethesda on the other hand, if it were not for Fallout 3, I would still completely loathe and despise. Bethesda’s ham handed, stale and lifeless approach to creating worlds has always rubbed me the wrong way. Excessive repetition of areas and the complete overuse of art assets in their titles, leads me to believe that their aim in life is to unlock some sort of achievement for using copy and paste more than anyone else on planet earth. Characters and non-player characters that remain perfectly prostate and stiff when conversing with the player, concluding with them walking away like they have a carrot stuck up their arse. Terrible scripts made worse with even more terrible voice acting. The technology used in their games is always sub-par, and continuously reskinned and labelled as new titles. Their outdoor lighting is bland and almost non-existent. Rudimentary aspects such as fire casting light and ambient sound effects are usually forgotten or omitted. Not to mention their engines run poorly, and that their games crash often. How Bethesda has managed to make, what should be a beautifully crafted single player experience feel like an MMO is completely appalling. 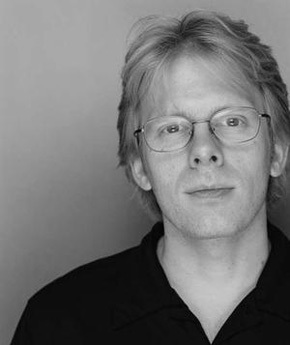 Legendary game developer and icon of the industry, John Carmack. I realize I have, when in comparison to the gaming masses, a fairly unique opinion of Bethesda Softworks. Partly because I believe I’m one of the last, sane and critical thinking people left on earth that play games, alongside Ben “Yahtzee” Croshaw. It’s nice to know that none other than John Romero himself, shared somewhat similar feelings. Even Penny-Arcade’s Jerry Holkins had something to say, which adequately described my fear. I foresee Bethesda Softworks benefiting a lot out of this acquisition. I assume they’ll get their hands on John Carmack’s amazing technology, Id Tech 5, and future feats born out of his genius. As far as Id Software is concerned, I pray that Bethesda have zero influence on their projects. I’m just glad to read that Id Software, as noted in the press releases, is going to run as it always has and I sincerely hope that’s true. If anything, as much as this is a turn from my initial attitude towards this acquisition, I should give John Carmack the benefit of the doubt. This entry was posted on Friday, June 26th, 2009 at 2:23 AM	and is filed under Gaming, News. You can follow any responses to this entry through the RSS 2.0 feed. You can leave a response, or trackback from your own site. An interesting take on this development. I agree with you, the thought of Id and Zenimax/Bethesda coming together is like, as you say, “chalk and cheese.” On one hand, you have straight FPS, graphics-intensive, mostly horror-based games, and on the other, huge open-world, hybrid FPS/RPG with fantasy as the focus. Even still, as an avid gamer and former game modder/designer, I think much more highly of Bethesda’s games, although it’s undeniable- what you’re saying bothers you has truth to it. If only there were some way to combine the polish of Carmack and Co., with the depth of Bethesda…I don’t see that happening with current hardware constraints, but who knows what the future holds. When you look at a game like Rage, which was intended to be open-world (if I remember correctly), you can sort of see why such an alliance makes sense, although I have no clue if that actually has anything to do with it. Great take on the subject, nice to see critical thinking being applied to a form of media that is more about bias and hype than rationality. Let’s hope this new alliance works out! I didn’t realize you were an avid gamer, good to know. You do have a nice, sober perspective towards the situation. I too could not help but notice the correlation between Rage and Fallout 3. At least for the fact that they are so thematically similar. I think it’s safe to assume that it helped solidify Id’s relationship with ZeniMax through its commonality. And yeah, as far as I know, Rage is a semi-open-world game. It features some degree of freedom, but with a sense of direction towards the main story arc, which I personally prefer. Because then there can be a focus on crafting the players experience, instead of me running around aimlessly getting distracted by everything and going nowhere. Yeah, one of my first major creative ventures was a total conversion mod for Call of Duty, a North Africa mod called Upon the Burning Sands, back in ’05. ( http://www.behance.net/Gallery/Upon-the-Burning-Sands/213508 ) I used to do a lot of modding for Medal of Honor, Call of Duty 1 & 2 and Company of Heroes. Anyway tho, maybe this merger can add a little more of a sense of purpose in such an open world, a bit more guidance to shape the gaming experience…after all, that main quest in Oblivion had no sense of urgency or connection to the rest of what was going on, making for a disjointed experience. It was addressed to an extent in Fallout 3, but not completely. Doom 3, on the other hand, had a much more focused story line but there was almost no sense of freedom outside of the task at hand. A successfully-executed combo of the best gameplay mechanics from both would be awesome. That so cool, because for a long while I was deeply entrenched in the modding community. Specifically the during the big boom of Half-Life mods, doing Level Design primarily. I worked on Household DEATH!, Master Sword – Continued and my own little Half-Life co-op experiment, that was just for me and my friends. I also made many Counter-Strike and Day of Defeat maps. But really there was only one that I officially released for Counter-Strike, named cs_thestation. Oh, and I think you’ve hit the nail on the head with your hopes regarding the merger. It has the possibility of being a perfect amalgam.